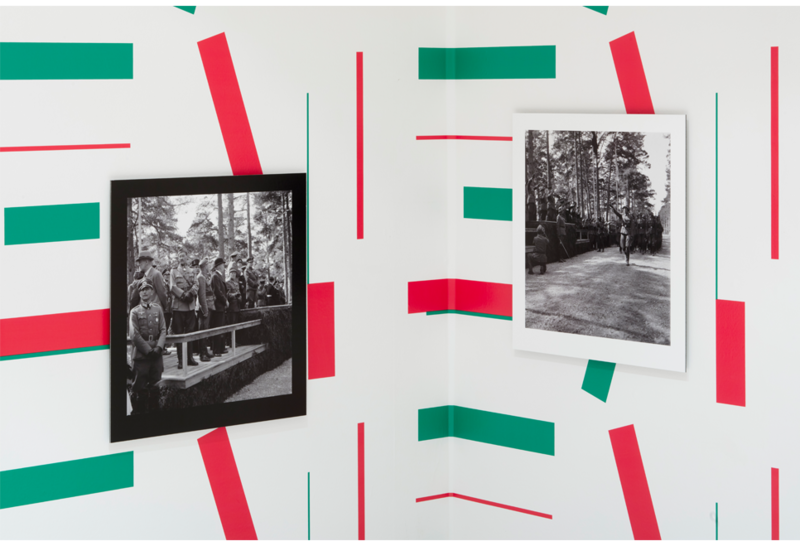 The installation by Lena Séraphin and Andrea Meinin Bück uses archival imagery to take a stand on the authenticity of photography as well as the limits of a uniform reality. 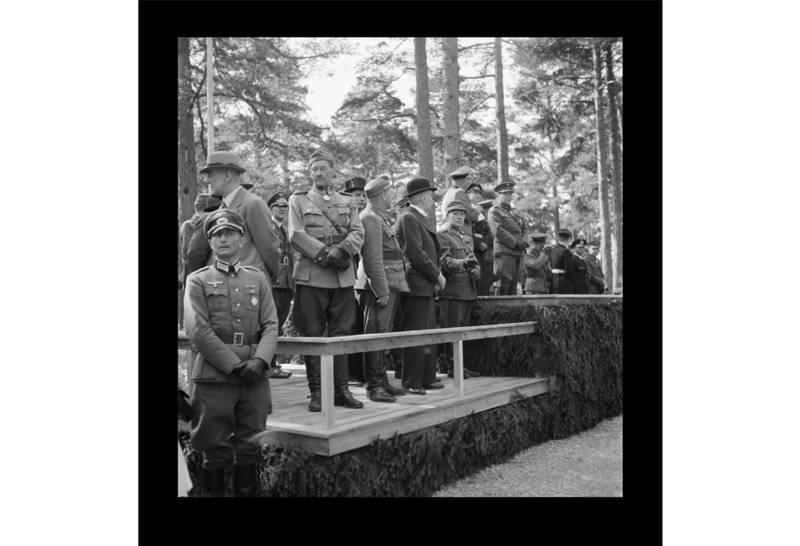 When confronted by images of war and National Socialism as a part of the installation the viewer can ponder whether these photographs are already loaded with the xenophobia present in our times. 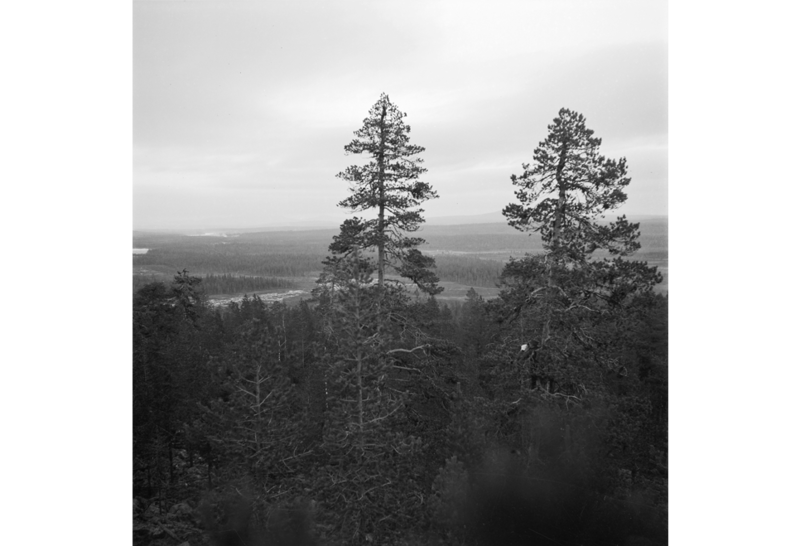 Lena Séraphin and Andrea Meinin Bück display images from the Finnish Defence Forces’ archive (SA-kuva) together with Meinin Bück’s landscape photographs. 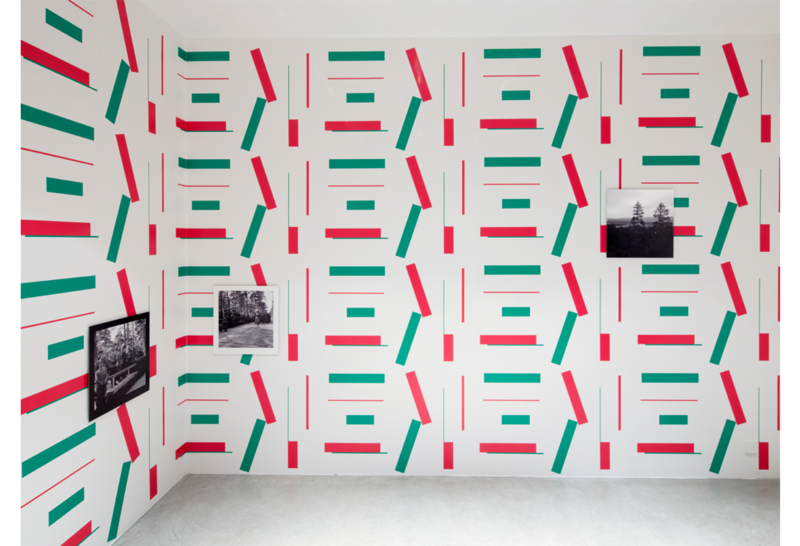 They are all exhibited on top of wallpaper, designed by Jonas Williamson, that causes kinaesthetic sensations and disrupts the viewing experience. 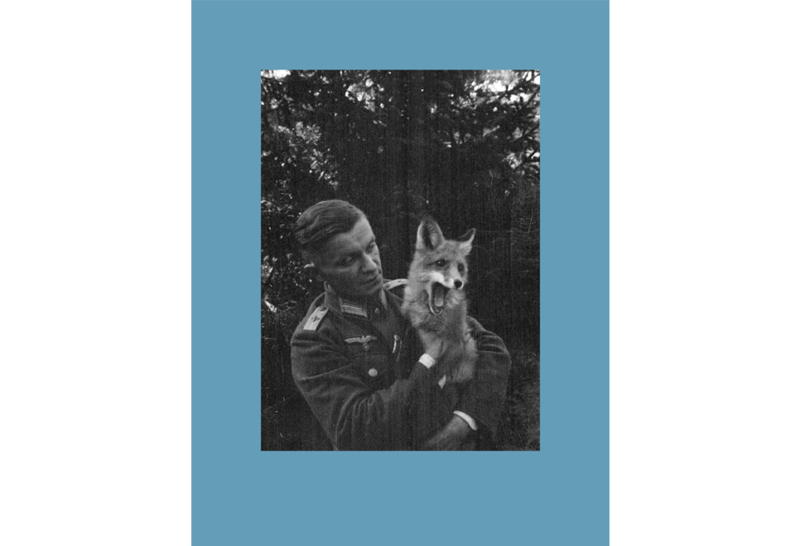 With an exhibition as an artistic statement, the duo experiments with the possibilities of displaying images from a military archive without rewarding expressions of absolute power. 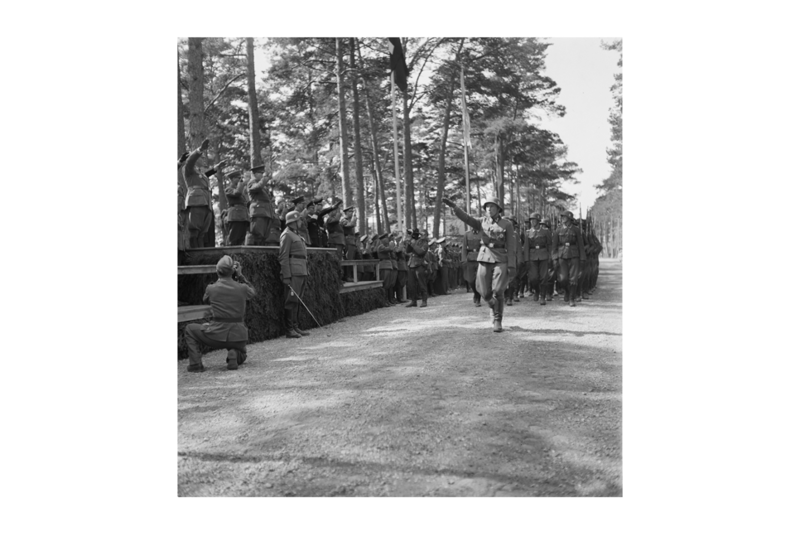 The subjects of the archival images vary from officers enjoying coffee to a march-past by a Finnish volunteer battalion, an artillery observer watching from a tree or a fox that has been kept as a mascot on the front. 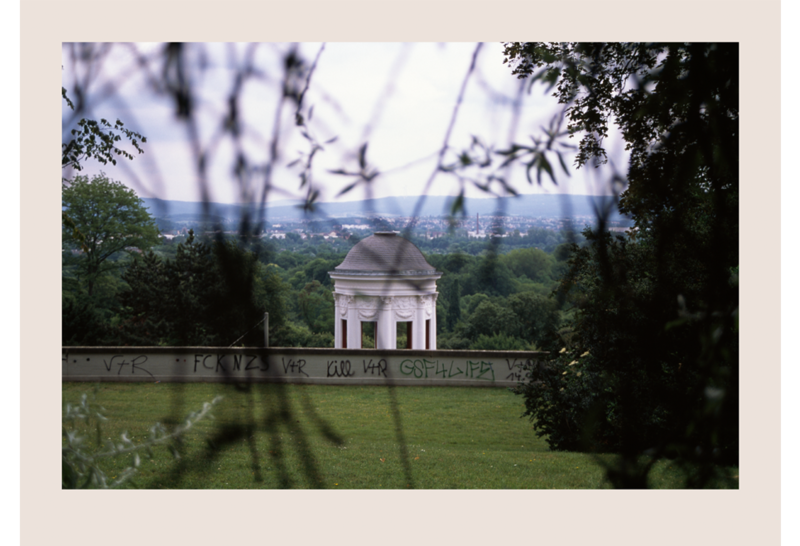 Whereas Andrea Meinin Bück’s photographs were recently taken in Kassel, Germany. 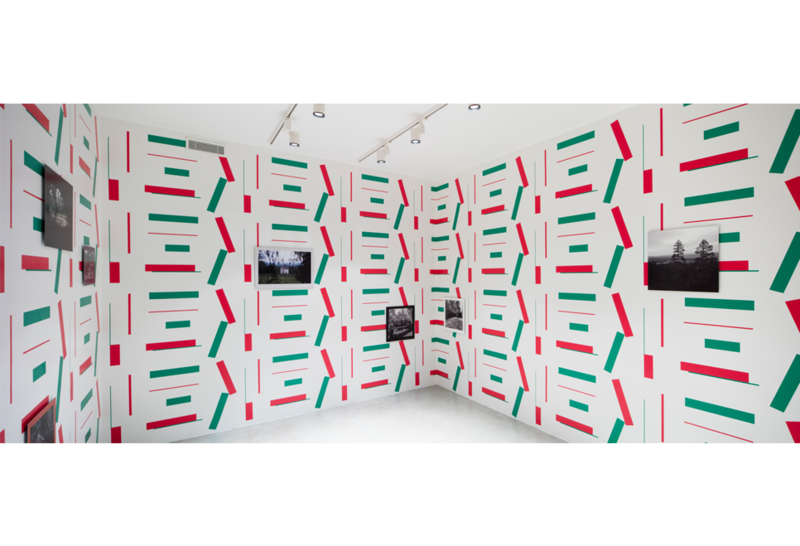 On one hand the exhibition poses the question of whether we can view these images merely as documents of the past and on the other hand if it is possible to enjoy an image on an aesthetic level in spite of its humanly repulsive contents. How can an image portraying the fascist ethos be displayed without elevating its subject, especially without framing its historical context for the viewer? 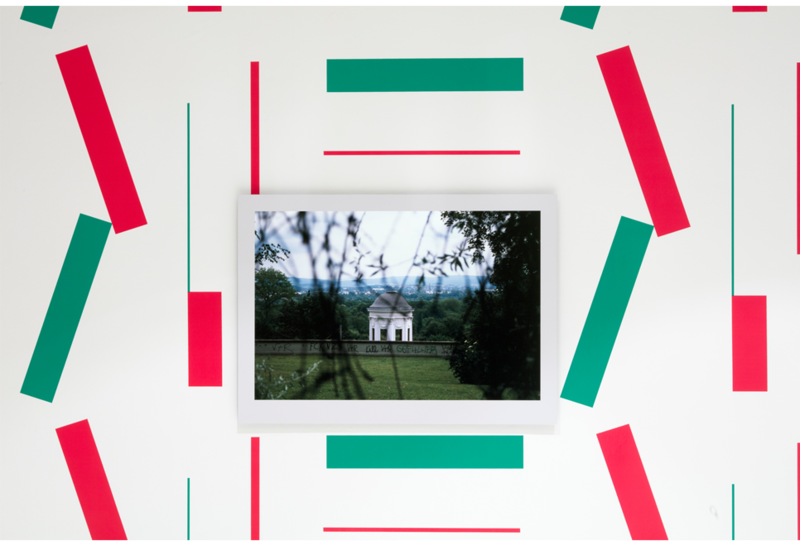 The exhibition experiments with the possibilities of creating a contemplative space in a gallery context where the viewer can approach these questions. The photographs might also offer a viewpoint into the sources of xenophobia fully present in our society today. 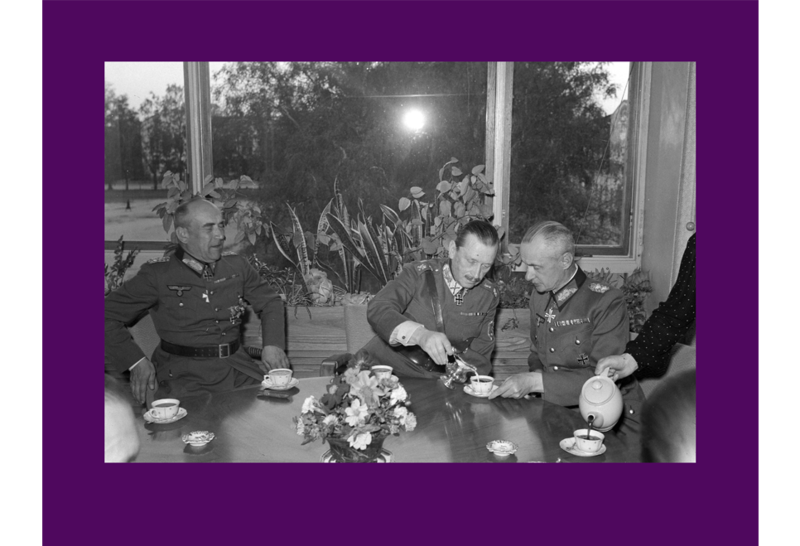 The etiquette at the coffee table or the soldiers’ mascots highlight the individual’s role in both an ideology and the institution of war and thus the potential of evil in all of us. 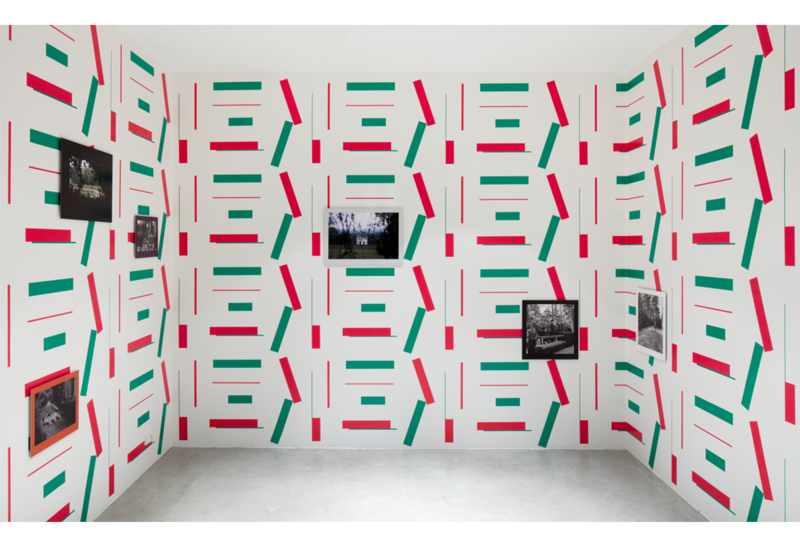 Lena Séraphin and Andrea Meinin Bück hope that the installation makes the archival images topical in a personal sphere. Lena Séraphin and Andrea Meinin Bück work on the installation Don Quixote Complex as an unfinished, mutable form of display. 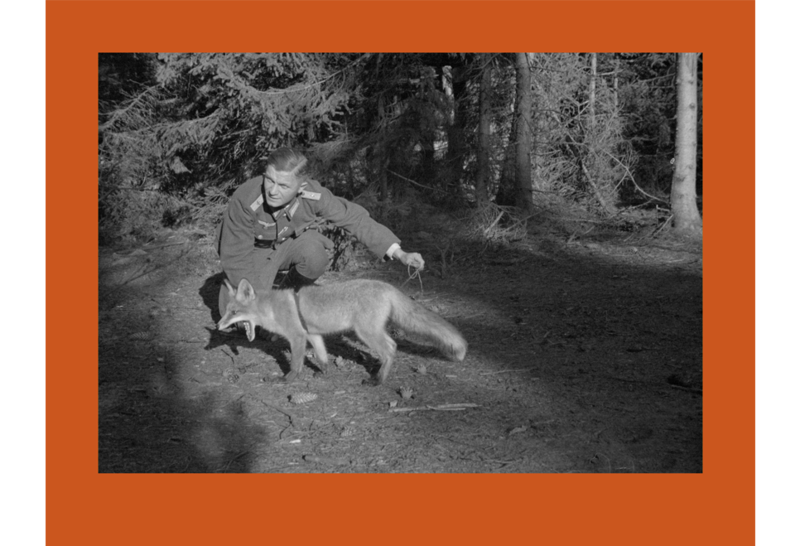 The installation seen now at Hippolyte has been shown as different versions in Helsinki in 2002 and 2011, in London in 2013 and most recently at the Gävle Konstcentrum in 2015. Lena Séraphin is a visual artist based in Helsinki. She completed her doctoral dissertation for the Aalto University School of Art, Design and Architecture spring 2017. Her work consists of collaborative writings and visual works that give emphasis to display as a dramaturgic event. 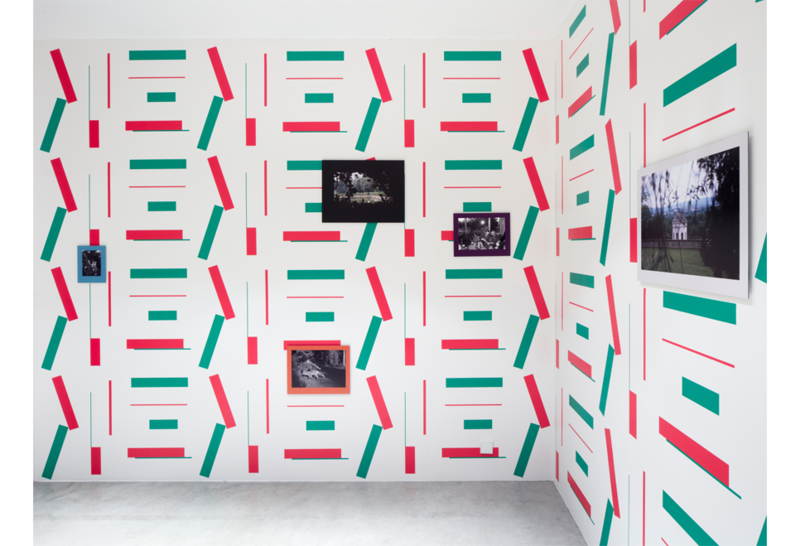 She relates to the mediums of text, photography, archival imagery, installation and moving image. Andrea Meinin Bück is a photographer acting on the international field. 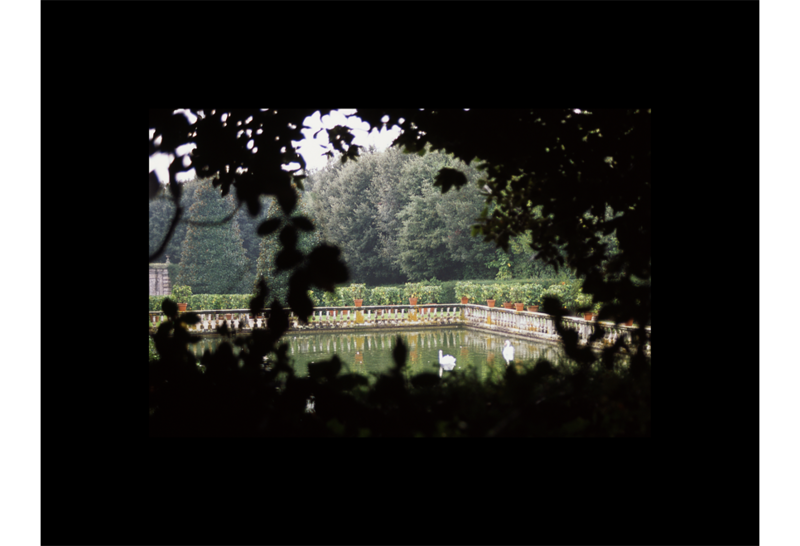 Meinin Bück worked for the Vera Incessu Patuit Dea Foundation during 1996–2000, while photographing disappearing European cultural heritage. She then faced several culturohistorically important sites under the threat of demolition. Her intense interest in the matter subsequently lead to radicalisation and forced Meinin Bück, in her own words, to go “underground”.